MANHATTAN (CN) – How — and where — should victims collect reparations for a genocide? In New York, an effort to hold present-day Germany responsible for what is grimly called the first genocide of the 20th century hit a setback. 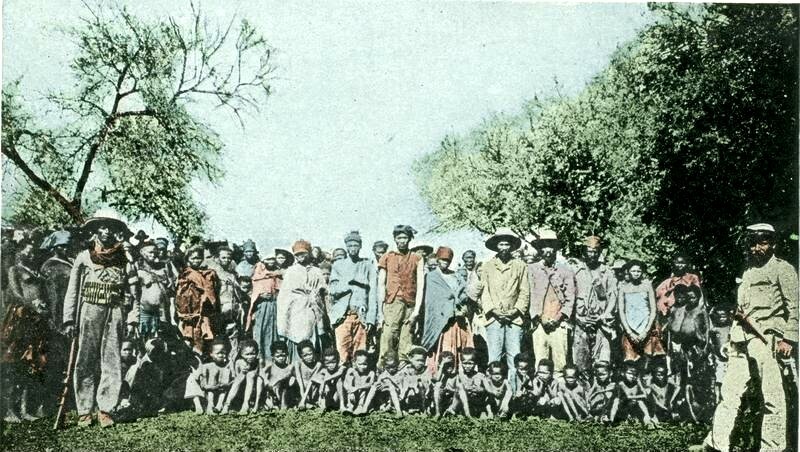 The case was brought by indigenous Ovaherero and Nama and descendants of the estimated 100,000 people who were systematically killed by colonizing Germans between 1904 and 1908 in what is now Namibia. Ruben Carranza, senior expert on reparations for the International Center for Transitional Justice, noted that U.S. courts have become a resource for survivors of dictatorships, war criminals and genocides. “Victims can of course file cases in their own countries’ courts – but those courts cannot reach assets in the U.S. or elsewhere and will not have the kind of political impact that a judgment in a country in which judges have a relative degree of independence and enforcement power can exercise,” Carranza said in an email. In the United States, however, such cases face a high bar. After U.S. District Judge Laura Taylor Swain threw out Ovaherero and Nama’s suit earlier this month for lack of jurisdiction, attorney Ken McCallion appealed immediately, confident that the Second Circuit will give his clients a reversal. Namibia is identified as Cota Caffares in this 1707 map of southern Africa by Johann Baptist Homann, part of the collection at the James Ford Bell Library. Lead plaintiff Veraa Katuuo said that he and fellow litigants always knew they were in for a long haul. Carranza suggested a multipronged effort for reparations. William Darity Jr., an economist and professor of public policy at Duke University, also said German citizens should pressure their government to pass legislation for Ovaherero and Nama reparations. “Trying to do this through the U.S. court system evades the question of who has direct responsibility and obligation for the compensation,” Darity said in an interview, wryly noting this same court system has a history of shooting down cases for domestic slavery reparations. The presence of the well-established Ovaherero and Nama people, already sovereign nations on the territory, meant the German settlers had to rent land and sign treaties. Quickly breaking those treaties, German colonists seized 50,000 square miles of indigenous land plus livestock without compensation, according to the amended complaint. They raped indigenous women and girls, and enslaved others for manual labor. Angered by this violent encroachment, the Ovaherero and Nama attacked in 1904 and 1905; a January strike by the Ovaherero killed 123 people. The Germans struck back, with devastating military support from the mainland. 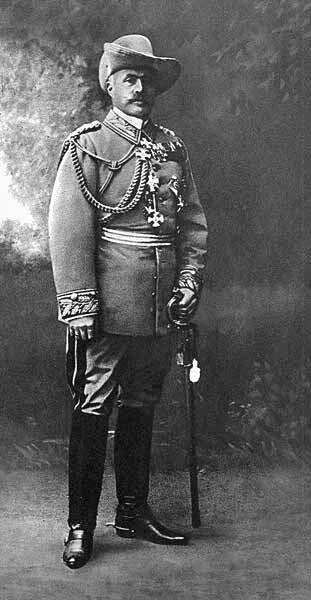 They called in Lt. Gen. Lothar von Trotha, who issued what is widely understood as a vernichtungsbefehl, or extermination order. 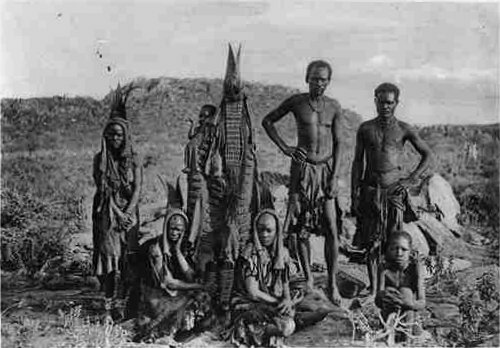 The Germans killed 80 percent of the Ovaherero people and half of the Nama, according to the complaint. Those who survived initial slaughter were sent to concentration camps. 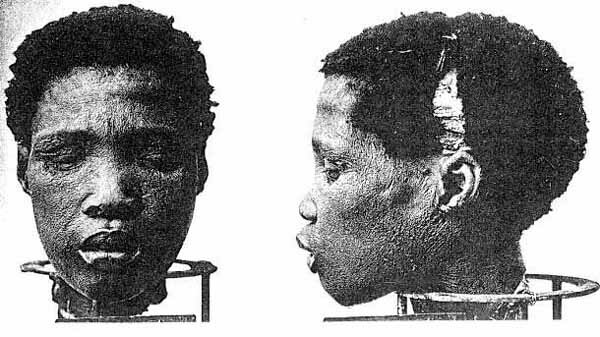 Some of their bodies were used for experimentation by German doctors. Representatives for Manhattan’s American Museum of Natural History have not returned a request for comment, but Katuuo’s complaint says it bought the human remains of the Ovaherero from Germany. Last year, the New Yorker reported that the museum has not denied that the Namibian remains in its collection might have come in part from the German massacre. Katuuo argues this constitutes a “direct effect” in the United States from the genocide. The Ovaherero are “a people that are very closely related with their ancestors and their dead,” Katharina von Hammerstein, a German studies professor at the University of Connecticut, said in an interview. The murders were “terrible not only because so many people died, but also on top of that because they could not bury the dead, not give them the honor of being buried,” she said. 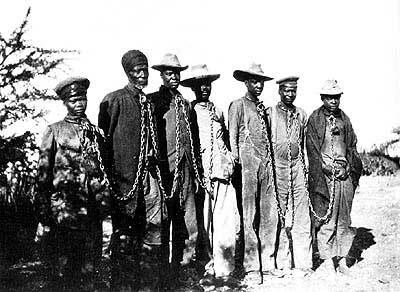 Von Hammerstein emphasized that the remains of ancestors should be returned to the Ovaherero and Nama people regardless of what happens with financial reparations. Darity agreed that the remains should be returned if the community calls for it, but that process should be separate from the reparations payouts, since it would not be the same as compensation for the harm caused. In the suit in New York, Germany is represented by Jeff Harris of Rubin Winston Diercks, Harris & Cooke. Harris made clear in an interview that the case was not about litigating a genocide. As to whether Germany should pay reparations or handle the negotiations differently, Harris said these are questions for the German Embassy in Washington, D.C. No representative for the embassy responded to a request for comment. Duke University’s Darity said compensation should come in the form of cash, rather than foreign aid or other means, and should be measured by computing the inequalities the damaged groups face compared with nondamaged groups. The International Center for Transitional Justice’s Carranza said reparations should not be limited to money payments. “The most important character of reparations in whatever form is that it recognizes a responsibility on the part of the state or group making reparation,” Carranza said. Crucially, the plaintiffs allege Germany has not included them or indigenous leaders or representatives in present-day negotiations with Namibia, which they say is a violation of international law. These negotiations have taken place between the two governments, in which indigenous groups are traditionally underrepresented. Darity, Carranza and von Hammerstein all said representation in talks is key to getting justice. “At the very least Germany must accept moral responsibility to the Herero and Nama people – and negotiate in good faith with their representatives and the state of Namibia,” Carranza said. “There is no formula that easily capture compensation for human rights violations, let alone genocide,” he added. UConn’s Von Hammerstein said events like the Ovaherero and Nama genocide, or U.S. internment of Japanese-Americans during World War II, should always be in history books. “Every nation has their dirt under the fingernails, and it’s important that some of us point that out,” she said.